A pathway or walkway is usually designed to get you from here to there. That doesn’t always have to be the case. 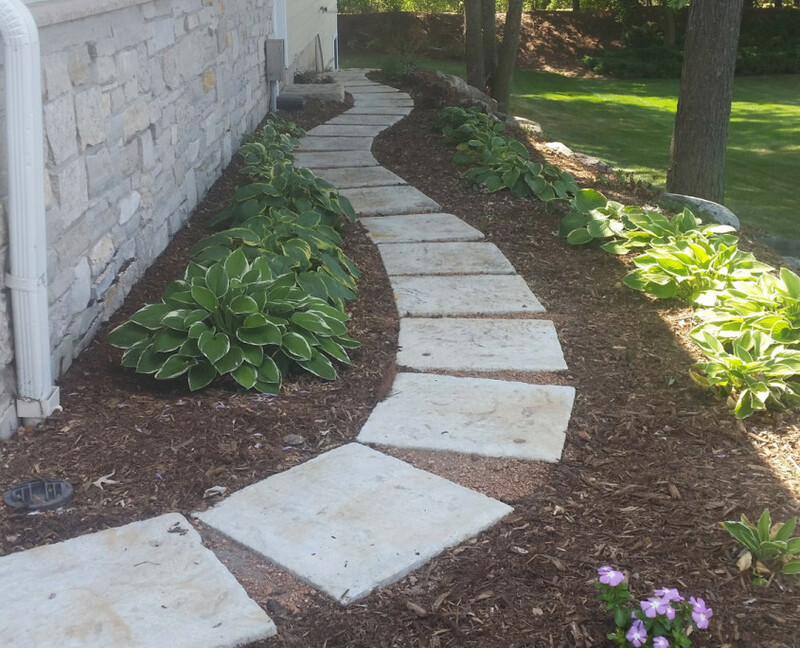 You can use a path or walkway to boarder flower beds, your pool, create an easy access to your landscaping or just a path to simply meander and enjoy the outdoors. 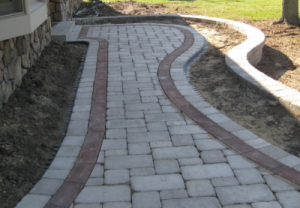 Designed with a variety of colors and patterns, paths or walkways can add visual interest and stimulate your senses. Let your imagination wonder. Our team has the experience and motivation to deliver just what you have in mind. Contact us today! Koch Kuts uses a variety of materials such as brick, concrete pavers and flag stone to create pathways that blend and harmonize with any surroundings. The materials we use are chosen for their durability, versatility, and ability to endure Wisconsin’s changing seasons and weather. We’ll walk you through all of your options to ensure the end result meets or exceeds your expectations. Pavers may be the right choice if you’re looking for a flat, even surface that’s going to last when properly installed and maintained. However, stone is always a good choice when you prefer a more natural unique, appearance. Our friendly staff can help you decide which pathway materials are right for your project based on style, maintenance, and your budget. 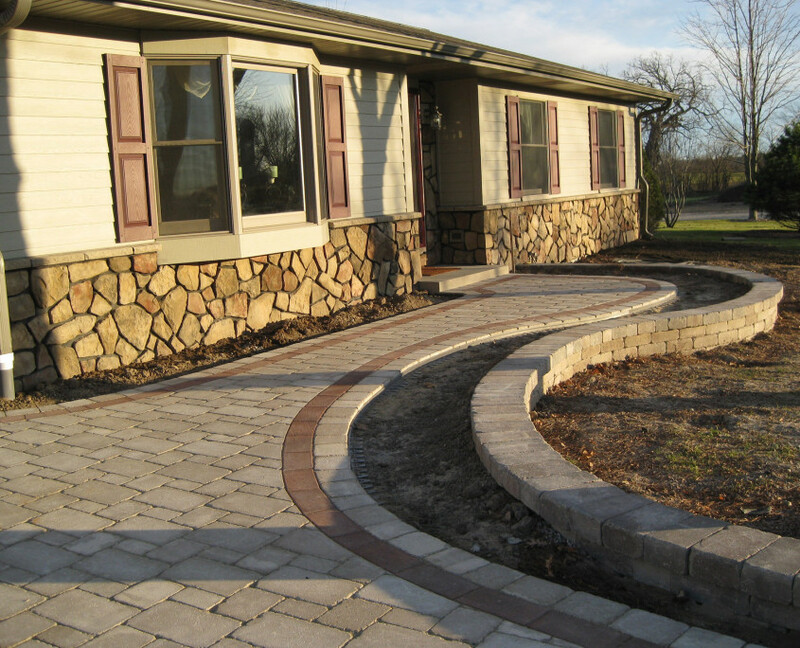 You can trust Koch Kuts to deliver the best hardscape services from the start of your project through its completion. We make sure all of your wishes have been discussed and the resulting landscape design brings those ideas to life. Pathways may seem like a simple, and sometimes unnecessary feature, but they add an incredible amount of character to any space and makes your home and property that much more desirable. 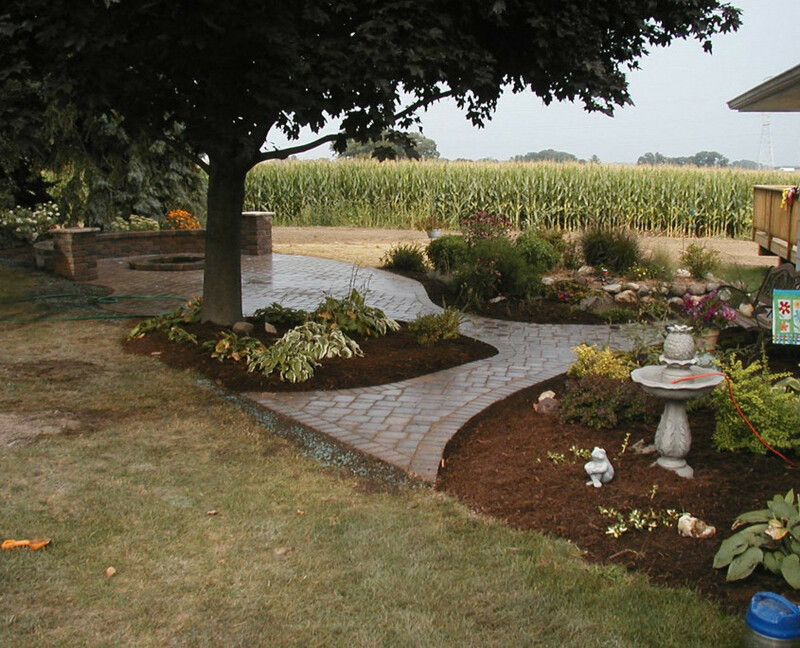 For pathways and more from a leading brick layer in Burlington, Waterford, Mukwonago, WI, and surrounding areas, call Koch Kuts Landscaping and Maintenance. We look forward to working for you! Discover the beauty and quality of brick for yourself. It will be our pleasure to assist you!